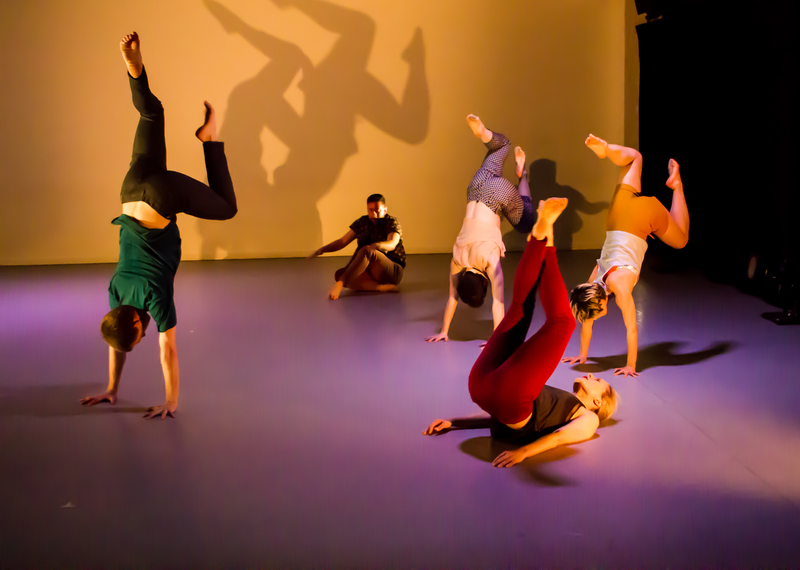 Gibney Dance Company performs Amy Miller’s “Still and Still Moving.” Photo by Alex Escalante. 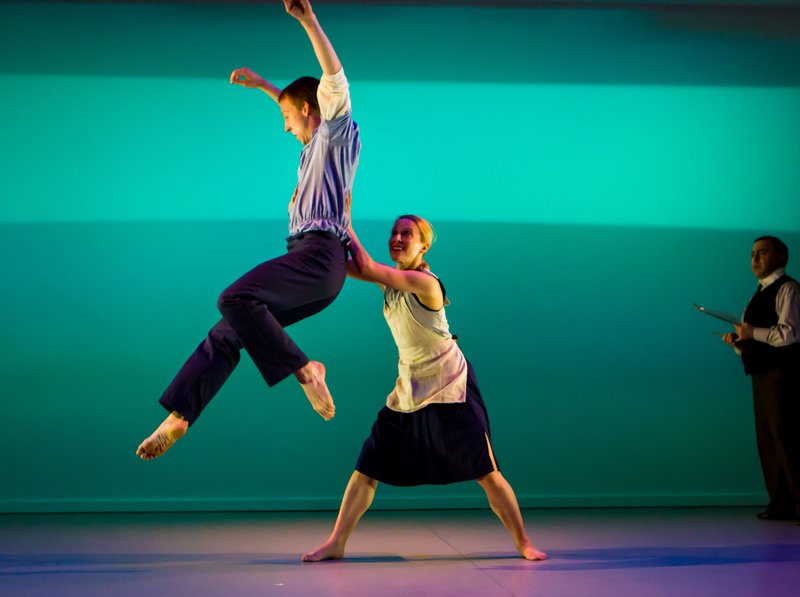 It was an evening of firsts for the Gibney Dance Company. The five-member group, which is the Resident Company of Artistic Director and CEO Gina Gibney’s newly expanded (and beautifully realized) downtown dance hub, inaugurated its first season in the new performance space with a pair works by Amy Miller and Hilary Easton, marking the company’s first time commissioning a new work and first revival, respectively. 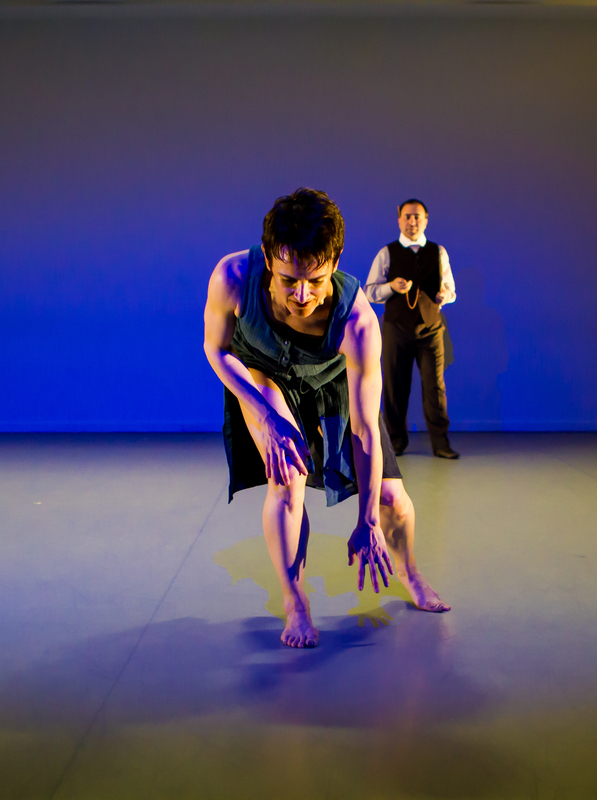 The company has traditionally performed Ms. Gibney’s works, but in homage to this new beginning, Ms. Gibney explained, this performance was an opportunity to showcase the group’s progress towards her personal goal of creating a repository for the ingenuity of women in contemporary dance. Javier Baca lifts Natsuki Arai in “Still and Still Moving.” Photo by Alex Escalante. The evening, appropriately entitled “Work by Women,” started off with Amy Miller pulling triple duty. 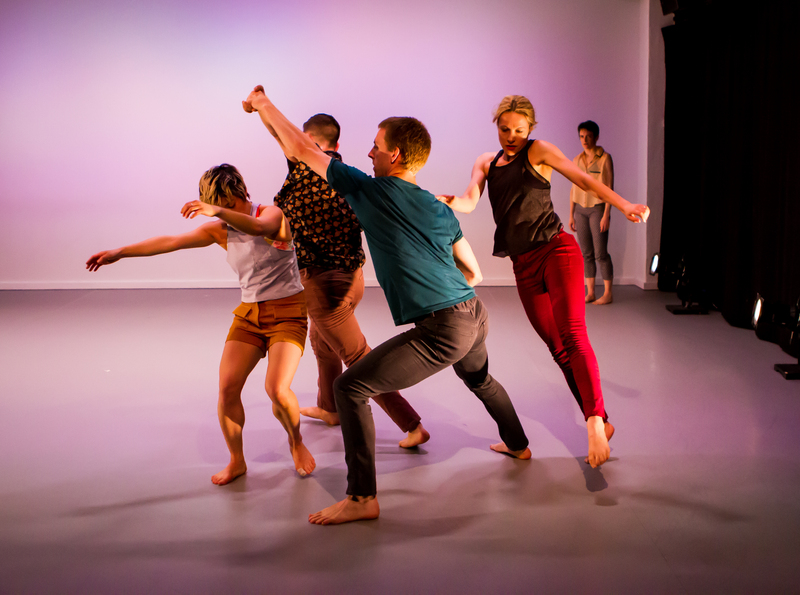 In addition to choreographing the first piece, Still and Still Moving, she also performed it alongside her fellow company members and contributed to the entire production as Gibney Dance Company’s Associate Artistic Director. The work opened with a duet for Miller and Brandon Welch that established the theme of connection that would persist throughout the work. With an arm wrapped around the other’s shoulders or their bodies pressed together at the hip, Miller and Welch propelled each other across the stage while Peter Swendsen’s electroacoustic score evoked the sound of a sitar. Swendsen’s allusion to classical Indian rāgas (a compositional form in which the arrangement of notes is more important than which notes are chosen) aptly reflected Miller’s exploration of the distinct group identities that emerge when two or more individual dancers move together. 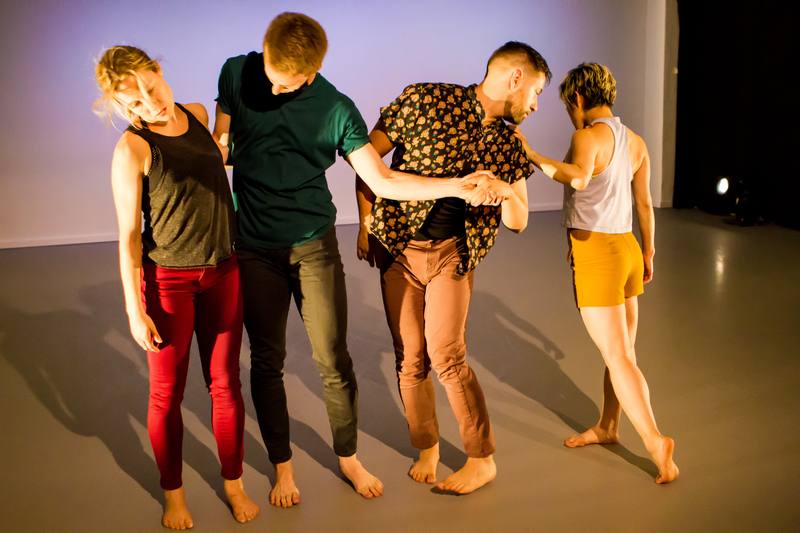 Miller’s gestures tended towards ambiguity: when one dancer leads another by the hand, is he shepherding her from danger or forcing her to follow him? The point may very well be that the intent is unclear, reinforcing the idea that a single point of human connection (the hands) can lead to myriad movement pathways. 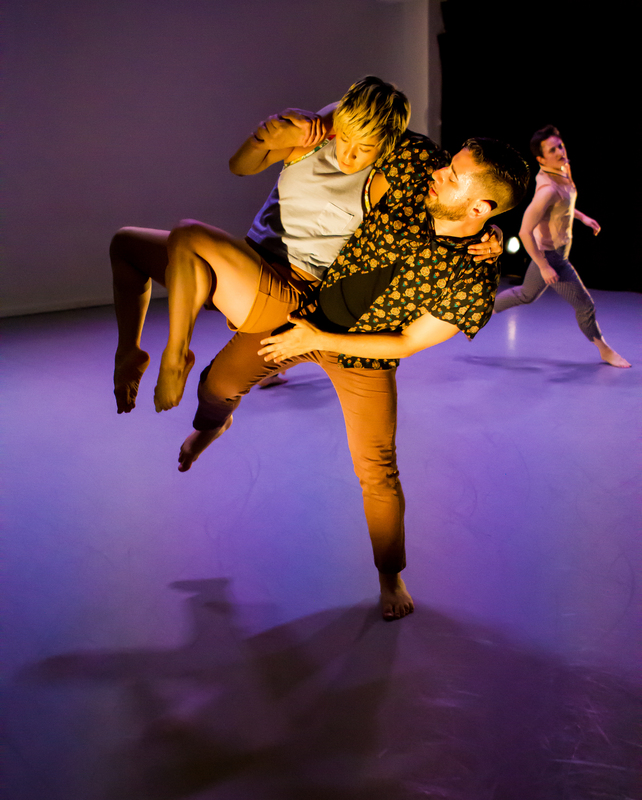 L to R: Jennifer McQuiston Lott, Brandon Welch, Javier Baca and Natsuki Arai in “Still and Still Moving.” Photo by Alex Escalante. While watching Miller’s work, it is hard not to think about how much we have learned from Trisha Brown. There are many moments in Still and Still Moving that are initially hard to decipher, particularly when a new movement phrase is introduced. However, as these new phrases are repeated, reflected, chopped up and reassembled, they radiate through the group in a way that recalls Brown’s ability to divide the onstage experience of space and time. Midway through the work, Miller steps to the outskirts of the stage. Watching her choreography unfold, she adds a fourth title to her list – she is, like us, a viewer. Bridging the gap between performer and audience, she grants the entire room the identity of shared experience. Miller looks on as the dancers perform her choreography. Photo by Alex Escalante. While Miller’s piece explored movement’s capacity for expansion, Easton’s was much its antithesis. 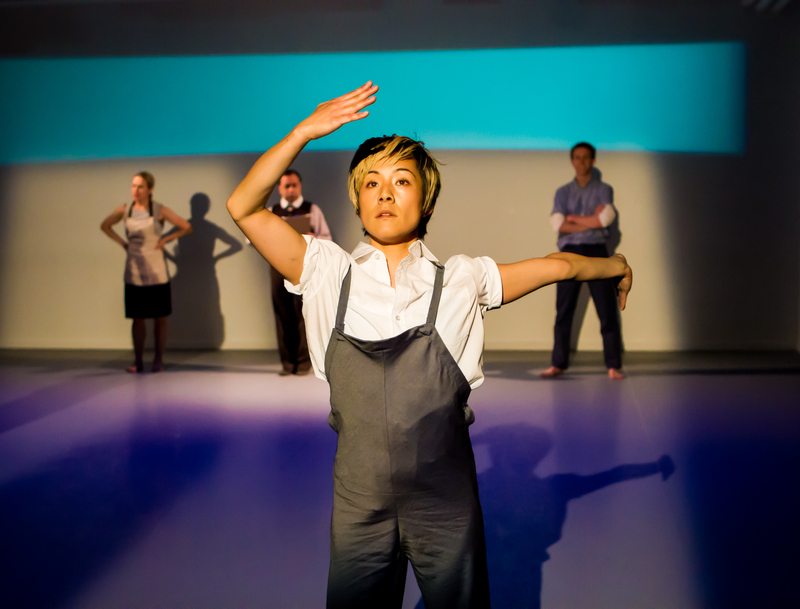 This excerpt from The Short-Cut, which premiered at Danspace Project in 2005, tackled the seemingly universal desire for speed, efficiency, and streamlined processes that has spurred innovation for decades in numerous industries. When Easton applies this concept to the production of dance, however, the product is a playfully absurd picture of art industrialized. Miller performs a phrase for Steven Rattazzi. Photo by Alex Escalante. Actor Steven Rattazzi, dressed to the nines in his role as the overseer of efficient operations, opens the piece with a monologue about productivity and the omnipresent limitation of time. His stopwatch holds the key to a better society, we are told, for it allows us to “apply empiricism to the mystical.” In the race for efficiency (and one would only assume, increased profits), “the system” reigns supreme. When Miller enters the stage and performs a rather beautiful phrase, Rattazzi admonishes her for the slow pace. With each iteration, her speed increases, but the nuance of the phrase is diminished – a jump is lost, and then a swinging leg. By the time Rattazzi is satisfied with Miller’s performance, the dance is a barely-there sketch of its original splendor, and her body simply the vehicle of art without the content. Almost immediately, The Short-Cut tempts a comparison to Andy Warhol’s concept of The Factory and the business of artistic production. Like Warhol’s experiments with screenprinting, Easton seems to be searching for the tipping point where the individual’s touch ends and automation begins. But in Easton’s work, there is another player to consider in the trajectory from artist to art object. 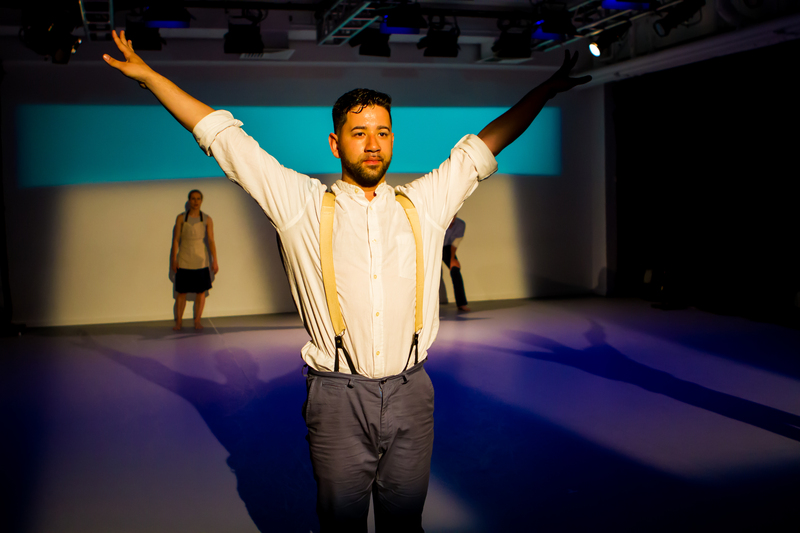 This is the interpreter, the dancing body that is the raw material for artistic production. Paper and paint will bend to an artist’s will; a dancing body has, quite literally, a mind of its own. This point is illustrated quite humorously when the performers team up for a danced race downstage, with Rattazzi presiding as the competition’s judge. Speed and adherence to the movement phrase garner praise, while divergence from these standards agonize the coach characters. Eventually, the pairs tire of the game and devolve into capricious duets, much to the ire of Rattazzi and his stopwatch. Javier Baca triumphantly finishes his phrase. Photo by Alex Escalante. Natsuki Arai races to finish her moves. Photo by Alex Escalante. As the excerpt ends, Rattazzi composes himself and returns to his monologue, professing the inherent beauty of the repetitive act (and in terms of dance, he’s not completely off-base – repetition has been a driving force in the choreography of Twyla Tharp, Pina Bausch, and countless other luminaries). However, the work’s last word is a caution against curiosity, as he explains that the distracted worker is necessarily inefficient. With this final phrase, the importance of art is brought to the fore. Through her comic dystopian setting, Easton reminds us that the creative act is a precious thing with virtues all its own. Luckily, there are people like Gina Gibney who agree, giving dance a little more space to flourish in New York City. Brandon Welch and Jennifer McQuiston Lott break the rules in “The Short-Cut.” Photo by Alex Escalante.